The 2017 Land Rover Discovery is now available at Land Rover Colorado Springs! This gorgeous adventure-seeking SUV is one you will not want to miss the chance to own. 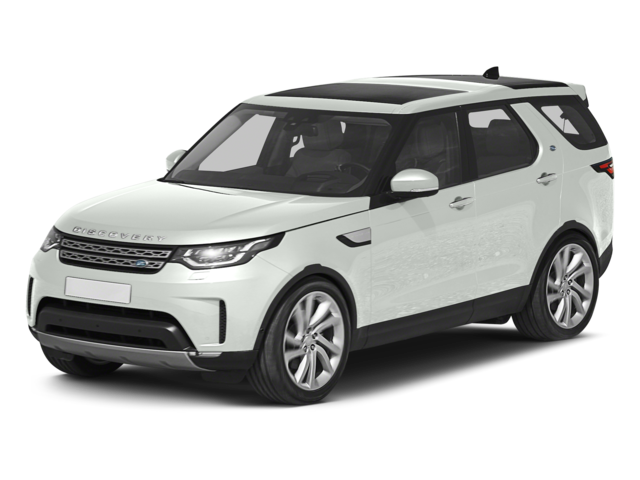 Whether you are looking for a vehicle primarily for city driving or adventurous mountain driving, the Land Rover Discovery is perfect. With seating for up to seven (with optional third row seat) plus ample cargo space, this luxury SUV offers a great option for a family. Enjoy all-terrain capability plus impressive towing with features such as Advanced Towing Assist and Hill Descent Control. Towing capability is up to 8201 lbs! Cargo space is no problem with the fold down second row and optional third row. Optional Intelligent Seat Fold makes it easy to configure the seating with the vehicle’s touchscreen or your smartphone. The vehicle has a large variety of storage bins to provide convenient storage options to all rows. There is even an optional cooler compartment available for the central armrest storage. Driver and passengers will both appreciate the many innovative technologies and luxury features of the Discovery Sport. Choose from your choice of Meridian™ audio systems, with either 10 or 16 speakers. The InControl® Touch Pro™ system is a multimedia system that allows occupants to easily control entertainment features. Another great feature of the Land Rover Discovery Sport is the panoramic roof which provides exceptional natural light. The roof has a tint to help keep driver and passengers shielded from the sun. Visit Land Rover Colorado Springs to take a test drive today. You will be impressed by the many features, generous legroom, and powerful performance. Land Rover Colorado Springs is located in Motor City, convenient to both Monument and Pueblo.